Raleigh is the state capital of North Carolina, home to a handful of colleges including NC State University, and the state’s second largest city. 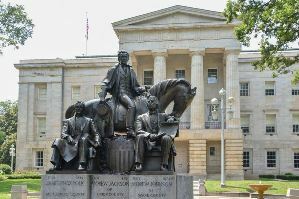 Many chiropractic clients of Sandez Family Chiropractic & Wellness Center live or work in North Carolina’s dynamic state capital. Raleigh essentially serves as the hub of commerce and government for the NC Triangle area and is in close proximity to Sandez Chiropractic, in neighboring Cary. The ease of access to our practice makes Sandez a preferred choice for many chiropractic patients who work or reside in Raleigh. 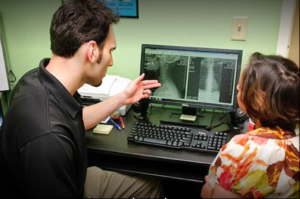 Sandez Chiropractic offers Raleigh clients a full range of chiropractic care services. Sandez provides chiropractic adjustments, rehab & chiropractic care for victims of auto accidents, exercise therapy and traction therapy for patients with acute or chronic injuries, chiropractic Electronic Muscle Stimulation (EMS), specialized chiropractic care during pregnancy as well as for infants and children. Raleigh is one of the fastest growing cities in the United States, earning widespread national acclaim for its exceptional quality of life. The city is a mainstay on countless numbers of “Best Place to Live” lists. It’s highly educated and well-trained workforce has been a magnet for several national & international companies, and high tech and innovative corporations. This dynamic growth has in turn help to generate a wide range of additional community enhancements. Recent additions to Raleigh include a new convention center, downtown amphitheater, a vibrant dining and nightlife environment in the Glenwood South section, and throughout the city as a whole. With plenty of museums, parks, vibrant Victorian neighborhoods and cultural attractions, the annual NC State Fair and its one million plus attendees, and the NHL’s Carolina Hurricanes, the “City of Oaks” is a city poised for further growth and enhancements. Sandez Chiropractic is a short, convenient drive from many sections of Raleigh, and is pleased to provide chiropractic services for many patients who live or work in Raleigh. If you, a family member or friend requires the services of a qualified, experienced chiropractor in the greater Raleigh area, we hope you will call on Sandez Chiropractic for the best in chiropractic care. For more information about the practice or to book an appointment call 919-535-3091 or use our Online Form.